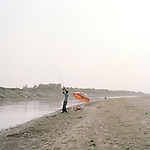 The Ganges River is a symbol of Indian civilization as old as Athens and Jerusalem, a source of poetry and legend, now on the brink of an ecological crisis. 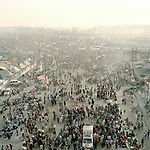 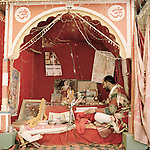 For centuries people have journeyed here to the heart of Hindu culture in India. 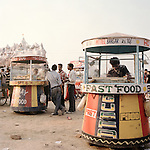 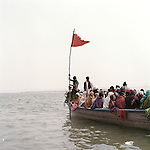 Everyday food, marigolds and other religious offerings are set afloat across the Ganges. 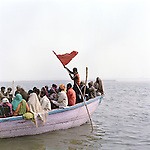 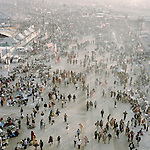 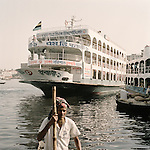 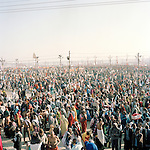 It is a common belief among Hindu pilgrims that the waters of the Ganges are so pure and holy that it is exempt from any harm and so it is not the duty of the pilgrims to worry about the consequences of their prayers turning into plagues; it is a task for the gods to worry about. 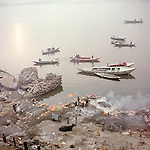 Every year roughly 32000 corpses are cremated in Varanasi and around 200 tons of half burned flesh end up in the Ganges contaminating the waters and those who bathe in it. 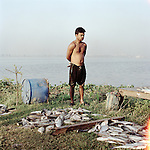 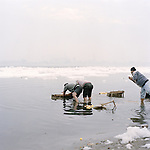 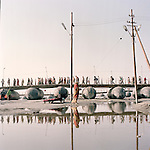 With the addition of rotting animal carcasses and non-biodegradable religious offerings, a foaming layer of scrum is often seen along some parts of the river.One of the biggest problems along the Ganges is raw sewage. 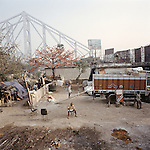 As the populations of the big cities along the river expand, the complications of proper connections from toilets to drains manifest in the form of huge open sewers along the river. 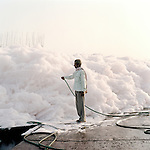 Sewage treatment plants are often not in working condition or simply cannot process the amount of waste coming in. 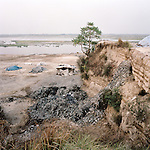 Untreated waste flows freely adding to the toll of children who suffer and die from diarrhea everyday across the Ganges basin. 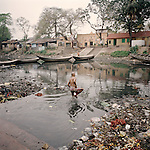 Open-air defecation along the riverbank is a common sight. 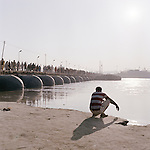 In some parts the water contains faecal coliform bacteria at half-a-million times the Indian recommended bathing limit. 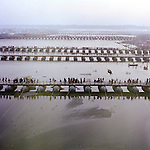 With the expansion of cities the demand for power has lead to the creation of mammoth hydroelectric dams. 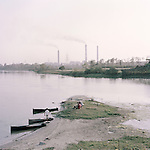 The leather factories of Kanpur have doubled in the last two decades and the city’s water treatment plant is unable to cope with the volume of waste. 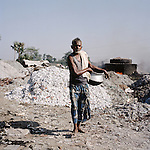 Chemical waste from tanneries afflicts farmers using the water with rashes, boils and numbness in the limbs. 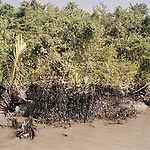 Water-borne and enteric diseases are increasingly common in populations along the river. 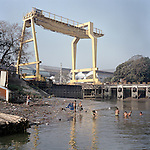 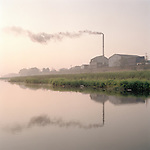 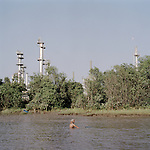 These industrial zones choke the river like blood clots on a vein. 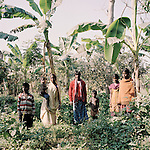 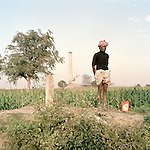 India's green revolution transformed barren and forested land into heavily irrigated areas increasing the exploitation of water resources, including the vast groundwater aquifers of the Ganges basin. 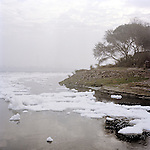 Fertilizers running off from fields seep in to the water heavily contaminating it. 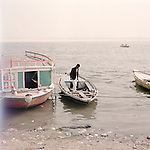 Water availability in the Ganges basin is highly dependent on the monsoon. 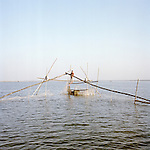 Dramatic changes in climate due to global warming alter the timing, intensity and duration of the summer rainfall, significantly affecting the amount of water available to farmers. 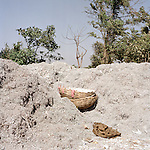 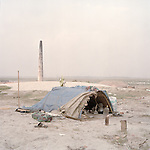 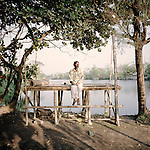 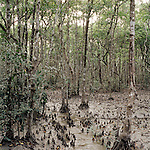 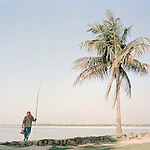 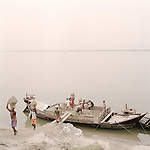 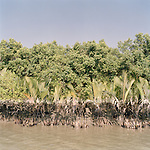 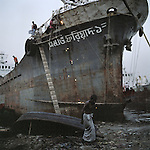 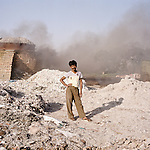 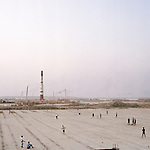 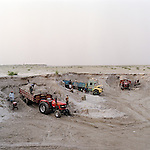 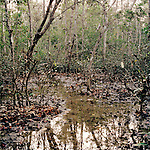 Salinity in the south of the river has lead to desertification in many areas in Bangladesh and India. 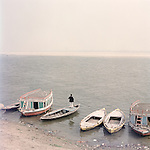 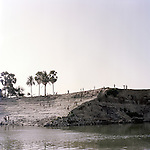 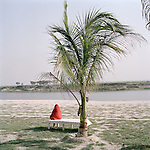 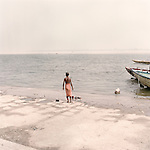 The Ganges is already running dry in numerous places, and as weather patterns become irregular parts of the river simply cease to exist for periods of time.